Welcome to episode 36 of Superman in the Bronze Age. After eating their fill of turkey, stuffing, etc, the guys return to cover the issues with a January 1973 cover date. 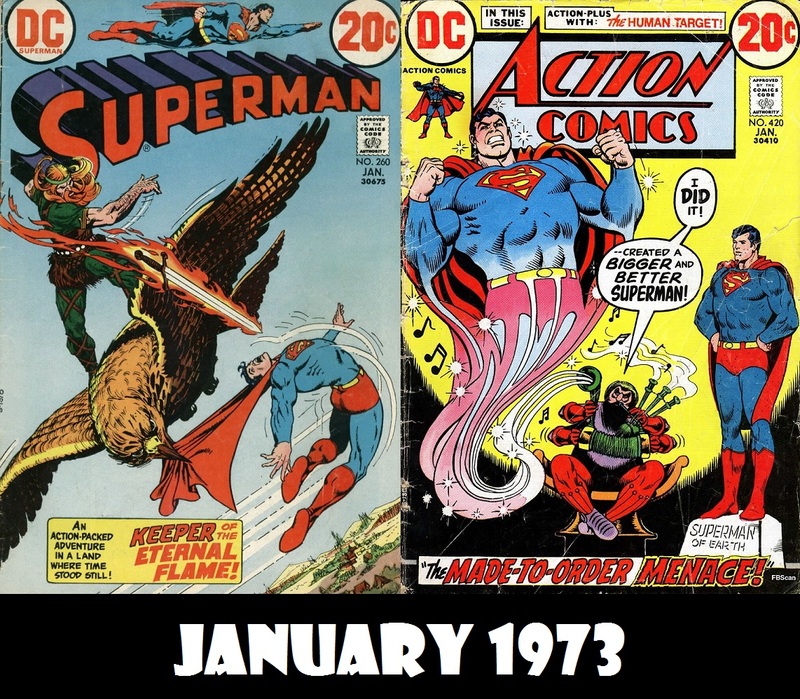 This week, Superman meets the Vikings (not the ones from Minnesota), we see a pseudo He-Man on Krypton, Superman meets Clark Kent and Christopher (Human Target) Chance takes the “King of the Jungle Contract.” Plus, ads and Elsewhere in the DC Multiverse.